The LEGO USB Hub designed for the WeDo Construction Set controls sensors and motors via the WeDo Software when connected to a computer's powered USB port. This two-port hub transmits power and data to and from the computer, and both ports are able to control motors and sensors. 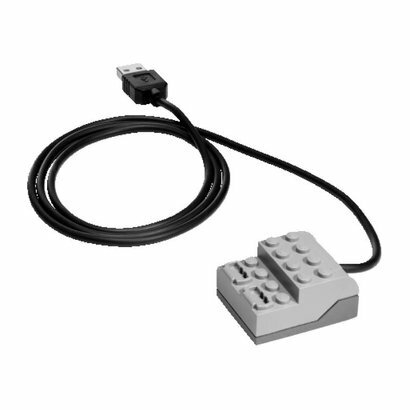 The LEGO USB Hub is automatically detected by the WeDo Software when connected to a computer.